I belong to a few moderated groups on Facebook. They can be so helpful when it comes to getting help and advice when my mood is not being nice to me. Recently, I read the comment of a person who is currently suicidal. She is crying all day and does not want to live. I love the insight she has to ask for help during this tough time. I wrote a comment to share what I do when I am suicidal. I have talked openly about my suicidal thoughts since starting my bipolar disorder work in the late 90s. It is such an important topic and one that is scary for many people. We don’t have to be scared to talk about suicidal thoughts. Instead, let’s see them for what they are… symptoms of an illness. If you have bipolar disorder, you probably have depression. If you have depression, there is a good chance you experience suicidal thoughts and behaviors. Here is the advice I gave – I try to give advice by telling my story. This allows people to take their own path. When I am suicidal, which is not always as it used to be, but now a few times a year, I have a list ready that tells the ill me what to do when I am sick. If you see these as typical depression symptoms, it helps put the focus on ending the suicidal depression from a medical point of view. Just this week, Ketamine has been approved. You are a perfect candidate. Just think of it this way, if a medication can take away the suicidal thoughts, it means it is an illness. Bravo to you for telling people what you need. That pops me out of the very selfish behavior I exhibit when suicidal. I am such a sad sack- my whole life feels like I’m dipped in doom. But it is just a symptom. It is normal that you can’t stop crying. That is a normal symptom of suicidal depression. It is normal that you have the felling that you want to die. Treat this as the illness it is. Ask for help. Is it time for a hospital visit? This helps me focus on healing instead of thoughts of dying. I believe in you. Get the help you need. Look at all of the support you have on this wonderful page. There are resources and people out there who will help you get your brain back on track. We can do this!!!!! PS: Why this picture? It is a reminder of the beauty of the world. Suicidal depression gives us tunnel vision. We turn inward and forget to expand our bodies, mind and eyes to the world. It is important that we look for beauty when we are suicidal. It is part of a plan to get out of the episode. Bipolar Disorder Irritation – Testy, Snappy People! Some people are just hard to be around. They are snappy, opinionated, sarcastic, and sometimes mean. I have met them! It’s often a personality trait. This means they were born that way and will probably remain that way unless something or someone pushes them to change. Bipolar disorder is NOT about the personality. A personality trait is very different from a bipolar disorder symptom. People always say- “Julie, all of us must have a form of bipolar disorder.” No. Everyone can be in a bad mood or a good mood, but bipolar disorder is an illness. It’s not about having good and bad moods. All of us have certainly had bad moods where we are testy when someone even looks at us the wrong way. When a person has a testy personality they tend to be constant in their behavior. If you piss them off, they let you know and you can expect it. This is a good thing as you can then make the decision of you want to have them in your life. Bipolar disorder testiness is 100% different because it’s episodic and often takes people by surprise. In other words, it’s not the person’s personality to act this way. It’s the product of an illness. This doesn’t excuse it! But it does offer an explanation. When I’m in an irritation downswing, a box that I trip on can get kicked across the room while I yell at it. Whereas when I’m in a stable mood, I can trip on a box and then just move it out of the way. If it’s personalty, my behavior around the box will be consistent. If it’s bipolar disorder, my behavior around the box will be dependent on a mood swing. When I’m in an irritation downswing, people are extremely irritating and I can’t believe how stupid they are! I am upset due to my mood swing and the whole world is going to know about it! But, when that mood swing ends, I see the world differently. This is classic bipolar disorder. This was one of the first things I learned from using The Health Cards Treatment System for Bipolar Disorder. People don’t like angry people and considering that bipolar makes me testy and easily pissed off –I knew I had to learn to control my moods! If you look at my Anger/Irritation Health Card, you can see what I did to change. I still get in these moods and they are still bipolar disorder related, but they no longer wreck my relationships and people actually do want to be around me! Being snappy, testy and mean will only happen during a mood swing if a person has bipolar disorder. Otherwise, the person is even keeled and stable. How to keep going when you think you can’t go on. Strategies for living day by day when you have #bipolar disorder or #schizoaffective disorder. 1. I find that reminding myself of the episodic nature of our illness helps. It is very rare for us to stay in one state forever. We will cycle out of a mood swing. If we keep working hard on management, we will cycling out of the mood swing more quickly. So a rough day today, can be a better day tomorrow or the next day. If you are sick today, remind yourself that change is possible. 2. Being drugged from medications is a serious issue that has to be addressed daily and continually until it is FIXED. Being too tired to function is not a trade off for stability. Find a way to manage your symptoms using the ideas in my books or any system that works for you and reduce the mediations you need. If you can take your meds with little to no side effect, fantastic! If you are like me and you get drugged easily, find other ways to stay stable. 3. Nasty old daylight savings time is coming soon. Start planning now for the time change. Change your routine a few minutes each night and be ready for the hour change when it actually happens. YES, one hour can make an enormous difference for many of us with bipolar. People used to laugh when I wrote about this many years ago. Julie, you have no idea what you are talking about! But I did! It was happening in my own life. Now we know that bipolar is connected to circadian rhythms, so of course a time change affects us. These are three changes that we can do! I am not depressed today- yay!, but I am over drugged from needing so many sleep meds to get rid of my mania. How do I live with this? How do I find ways to get through today without allowing my symptoms to develop, intensify, or dominate my life? How do I support myself, my family, and remain productive? How can I make the most of a poor (at best) genetic inheritance? Although I do not have bipolar illness, I have worked professionally with people who do. And one of my family members has bipolar illness. Let me, therefore, venture to put myself in your shoes. Moving from my position as a victim of genetics or of circumstances to an agent of change, decision, and choice represents my greatest asset as a person. Can I learn to work within my limits? Can I make the best of a difficult situation? Can I find strength I never knew I had: in God, in a Higher Power, in counselors, and/or in social support? How can I mobilize a team to sustain me: medical practitioners, friends, professional colleagues, neighbors, family? 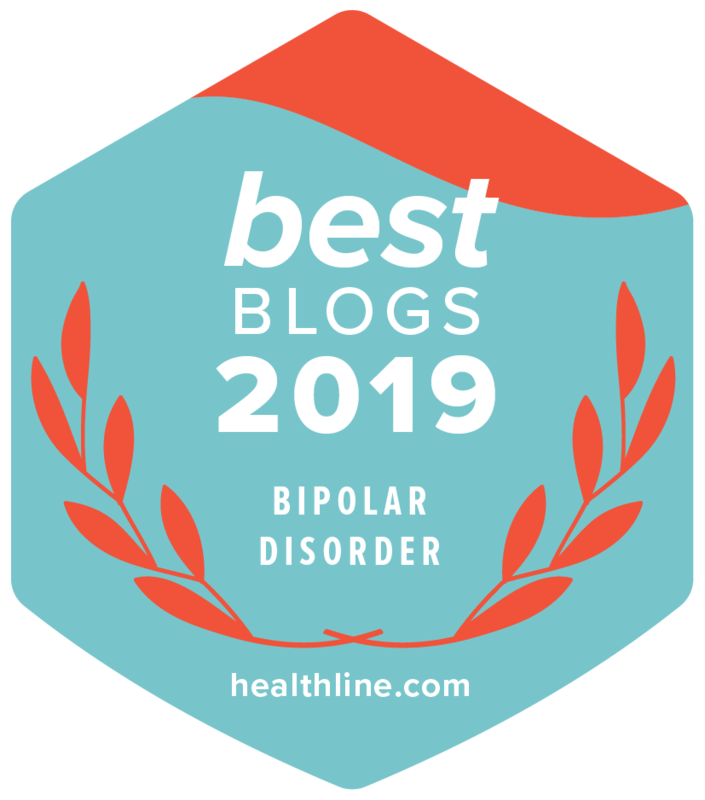 None of us lives life alone, but my living with bipolar illness makes dependence on the good will, and concrete support of others all the more necessary. How can I find hope to go on? To persevere daily under a cloud of uncertainty? Others have been where I am now, I tell myself. I’m not the first, nor the only person living with bipolar disorder. How do they cope? How can I draw on their experience, failures and successes to teach me what to avoid, and what to pursue? 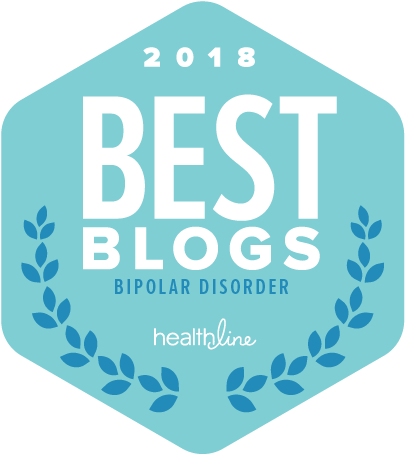 Do you live with bipolar illness? How do you face your sadness, take charge of your health, and mobilize the resources that give you hope? There is support. Gordon S. Grose pastored three churches over 24 years in MA, CA, and NY before serving as a pastoral counselor for 11 years with Western Psychological and Counseling Services, PC. in Portland, OR. In 2003 he retired to write the book that had been on his heart for decades: Tragedy Transformed: How Job’s Recovery Can Provide Hope For Yours. Determined to write a book on biblical Job that would help people today, he interviewed people who dealt with various tragedies: natural disaster, suicidal depression, unexpected death of a spouse, and serious physical and mental illness. Gordon links their recovery to biblical Job’s and provides self-help suggestions at the conclusion of each chapter. Gordon has given workshops and preached on dealing with tragedy using Job since 2007. Recently Gordon published, “Though He Slay Me,” in Christianity Today Magazine, an explanation of why the common translation of Job 13:15 is incorrect, and why it matters. He continues to blog at gordongrose.com and is active on Twitter , Facebook, and LinkedIn. Gordon and Elaine married in 1960. They have four children, eight grandchildren, and three great granddaughters. A note from Julie: I love this post from Gordon. His book Tragedy Transformed follows the story of Job. I find comfort even time I meet with Gordon. We first met in a National Speaker’s Association (NSA) event. I remember the first time I heard him speak. His stories were from the Bible, but they were so in the moment! He shared his psychiatric background and how he has worked with many people like ourselves who want to find meaning in life while living with serious mental illness. Thanks to Gordon for this helpful and hopeful blog! Why is the statement “Bipolar Disorder has Two Mood Swings” important? 1. Almost all treatment focuses on ending depression as this is the mood swing that people openly say they want to end. This creates an imbalance as incorrect depression treatment can lead to mania. All treatment for bipolar depression must keep mania in mind. There are two mood swings to bipolar disorder and they are connected. They are not separate. 2. Dysphoric mania, (when depression is combined with the energy of mania) is by FAR the most destructive and dangerous of all mood swings and yet we rarely talk about it. Only when we end dysphoric mania, will we end the amount of people, especially young men who are in jail due to bipolar disorder behavior. 3. Cannabis has become so common that few are looking at the risks it poses for bipolar mania, especially dysphoric mania. The THC in cannabis is psychoactive and stimulating. If we focus on mania treatment in the same way we focus on depression treatment, we will question our own use of cannabis. Health care professionals will see that due to our mania and psychosis response to the herb, it is NOT a safe choice for people who want to find stability. Ah, the truth hurts! 4. Euphoric mania feels so good that we act on it instead of getting it treated. Health care professionals must talk with us about euphoric mania before it happens and teach us what it looks like and feels like. The Health Cards teach the system I use to manage euphoric mania. Therapists especially need this training as it is SO easy to think that a person with bipolar depression is better when it’s actually hypomania. These four simple steps can profoundly change the way we treat bipolar disorder around the world. There are two mood swings in bipolar disorder: depression and mania. They are linked in an infinity loop. BOTH must be stopped in order for us to find stability. If we teach this to people newly diagnosed along with the people who are about them, we will create MUCH better futures for people with bipolar. Just Diagnosed with Bipolar Disorder? I was diagnosed at age 31. It explained years and years of unexplainable behavior. I now see my diagnosis as a get out of jail card. I was out of control- confused and very, very unhappy for years due to the symptoms of this illness. When I found out the WHY, I was able to change my life. I wish you luck if you were just diagnosed. You can get better. You can survive. You can reach your dreams and goals. I believe in you! Here are a few resources to help you find a management plan that works for you! Click here for a link to read more about the bipolar disorder diagnosis. You are going to be ok. If you are unsure about your diagnosis, here is an article from Bp Magazine that can help. Bp Magazine is a great resource. You can read a lot of free information on the BpHope website or order the magazine as a download or a hard copy. It is especially helpful for someone new to the bipolar disorder world. If you were diagnosed after a particularly vicious mood swing, it helps to know you are going to be ok and that long term management is possible. I am happy. I have stable relationships. I can work to the best of my ability by keeping my bipolar in mind. I TREAT BIPOLAR FIRST. It is a bit shocking to get a bipolar diagnosis, but I hope it helps you the way it has helped me. I now have answers. It is an illness. It’s not personal. It can be managed. My main book on bipolar disorder is called Take Charge of Bipolar Disorder. It’s a good start for anyone affected by the illness to set a foundation for healing and learning to live with the illness while loving your life.